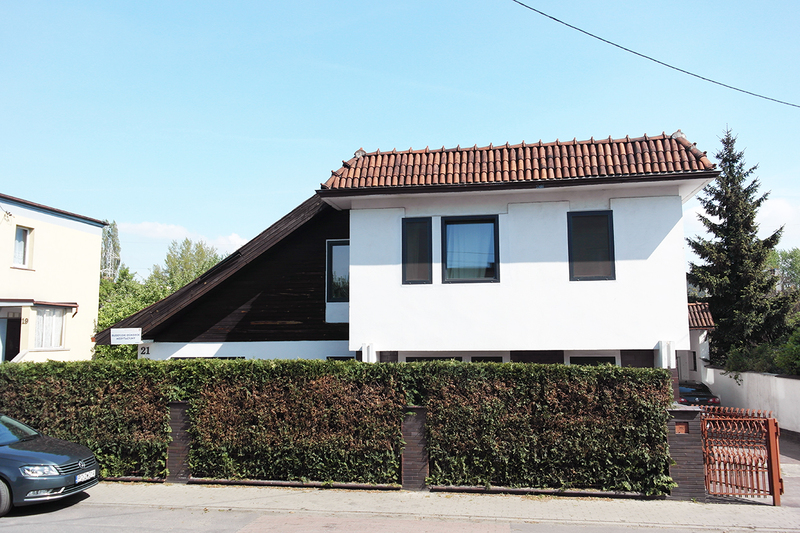 The first centre of Diamond Way Buddhism in Poznań was founded by Lama Ole Nydahl in 1983. Since that time we have changed our location several times to finally buy, in 2008, a perfect piece of real estate on 21 Maszynowa Street. We are a dynamic, constantly developing place, where one can meet living and authentic Buddhism. Every day in our centre we do the 16th Karmapa meditation and organise introductions and explanations for the new people. We organise lectures and meditation courses in the centre every second month and public lectures at the Poznań universities take place a few times per year. Together with Stupa House Foundation, we organised the Buddhist Culture Festival in 2010, 2011 and 2016. 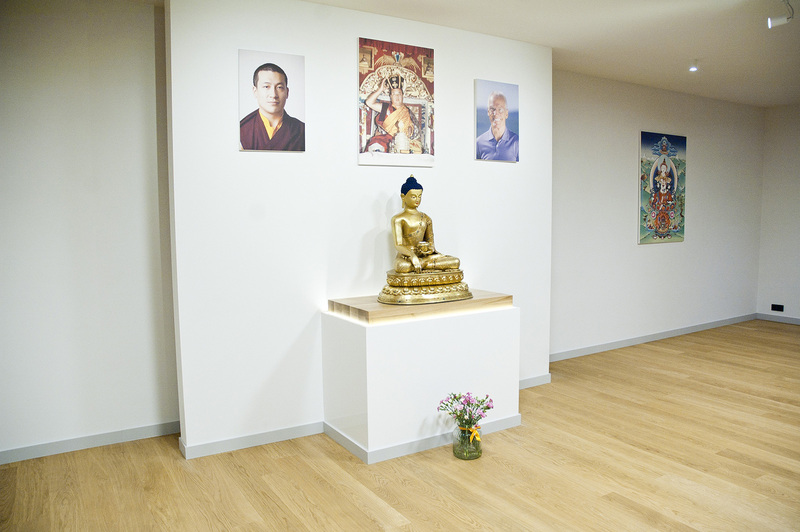 We also travel a lot and visit other Diamond Way Buddhist centres all around the world. In 1983 we hosted Lama Ole Nydahl for the first time in Poznań. Since that time Lama Ole has been visiting us regularly (1985-1992, 1995, 1997, 1999, 2002 and 2008). His last visit to Poznań was in November 2012. 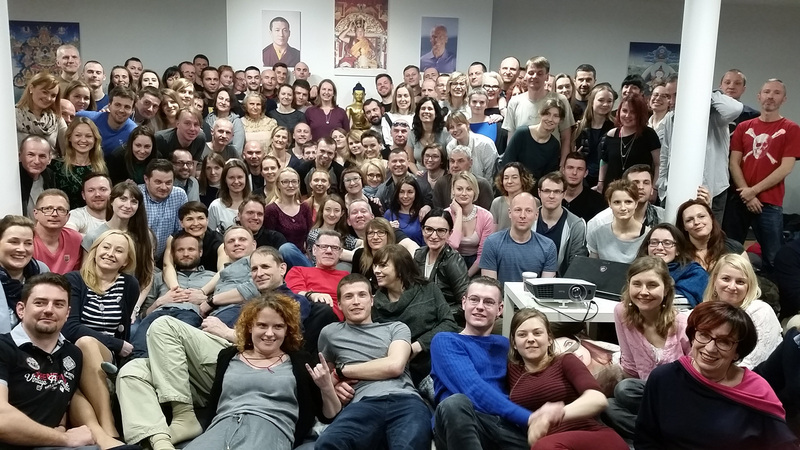 It was the first two-day course with Lama Ole in Poznań with Mahamudra teachings, including the Mahamudra of Lama Shang, given by Lama Ole for the first time to the Western students. During all these years we have had the privilege to host in Poznań high lamas from the East: Lopön Tsechu Rinpoche (1987) who gave a Green Tara empowerment, Jamgon Kongtrul (1987) who gave the empowerments of Korlo Demchog, Manjushri and Gampopa, as well as Beru Khyentse Rinpoche (1989).